The Sweet Stuff | Wedding Cakes Nottingham, Derby, Leicester Blog Why you NEED a wedding planner! Planning your wedding comes with a roller coaster of emotions. From sheer excitement right through to worrying how on earth you’re actually going to have the time to get everything done! That and the worry of knowing what you actually need to be doing and when. This is where a wedding planner can help. Planning a wedding is an investment and what better way to safeguard your investment than to hire a wedding planner who can help you save time and stress and help you to get value for your money. I've asked Val from Benessamy Events all the important questions to know about wedding planning. A wedding planner knows the industry and the right questions to ask venues and wedding suppliers. We know how to schedule your wedding day or wedding weekend to ensure you and your guests have an enjoyable time. When you hire a wedding planner you don’t have to worry about how your day will flow, who needs to do what and when, etc. that's the job of your wedding planner! Planning a wedding can take around 250 hours (more depending on the complexity of the day or wedding weekend you have in mind). A wedding planner will ensure that every detail is taken care of and your day runs beautifully. From organising the initial contact with your suppliers and venue right through to confirming arrangements for managing the day. Being able to leave this in the hands of a professional wedding planner means you’re free to enjoy the more exciting aspects of the planning like menu and cake tasting, dress fittings. A good planner should never take over or make you feel like you’ve have lost control of your plans. Instead they should work with you to ensure every detail is covered for you. Does a venue planner do the same as a wedding planner? If your wedding venue has a wedding co-ordinator or an event manager, you may be thinking you don’t need to hire a wedding planner. However, there's a huge difference between their respective roles. The venue co-ordinator is usually responsible for all aspects of the wedding that involve the venue. For example, set up, logistics, deliveries, event take down. A wedding co-ordinator will help with specific aspects of your day but won't manage the entire process from start to finish like a wedding planner will. You may also find that the wedding co-ordinator that you have been dealing with at the venue in the lead up to your wedding may not be the point of contact on the day itself. Sometimes they hand over to another member of their team or another colleague at the venue like the duty or banqueting manager. If you hire a wedding planner to help you from the outset of your wedding plans, your planner will have a detailed knowledge of your vision for your day or wedding weekend, the suppliers you have booked and the detail of how you want your dream day to look and feel. Even if you book an on the day or wedding day management service with your wedding planner, they will provide help with the arrangements in the last few days leading up to your wedding day. 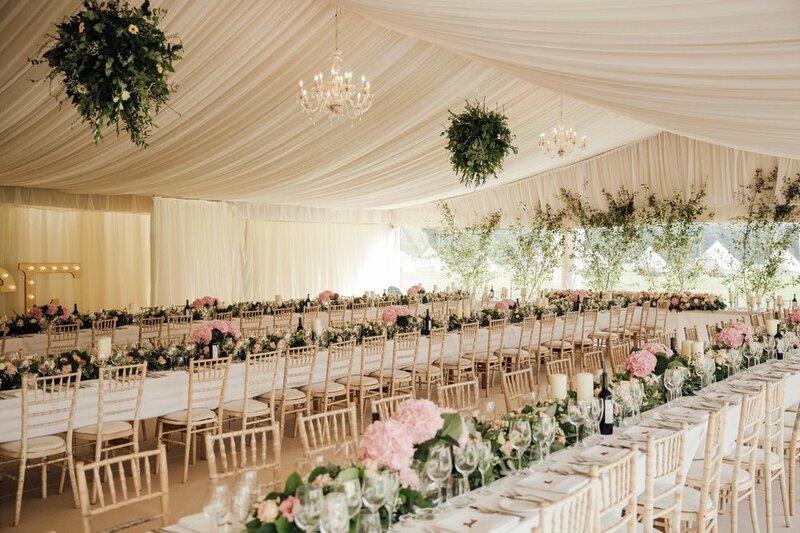 Although the venue's wedding co-ordinator will manage some of the tasks of the day, like ensuring the rooms are ready before your guests to arrive, liaising with the registrar and being the main contact for the day, they will probably not have created a detailed timeline that includes every aspect of your day (especially those things that do not directly relate to the venue). How do couples choose the right planner for them? There are lots of planners to choose from, all offering slightly different services. It's important to select the right planner for you and also to choose the service that best fits the type and level of support you're going to need. Remember you will be spending one of the most important days of your life with them so it's important to select a planner that puts you at ease, demonstrates an understanding not just of the complexities of planning a wedding but one that understands and appreciates the vision you have for your wedding. Most planners will offer a Full Planning Service and an On The Day Co-ordination/Wedding Day Management Service. Some also offer Partial Planning. If you want a planner on hand at the earliest stage of your wedding planning journey to reduce the stress you may feel by managing all the details from start to finish then go for Full Planning. If you’re part way through your planning and need some extra help, a Partial Planning service is usually designed to help you complete your plans. If you want to plan everything yourselves and then ‘hand over the reins’ in perhaps the final 2-3 weeks leading up to your wedding then an "on the day" wedding co-ordination or wedding day management service is there to ensure your wedding day runs smoothly. How many weddings have they organised? How do they charge - a fixed fee or a percentage of the budget? Are there any additional charges for things like travel and accommodation? On the wedding day/weekend - How many hours does their package include? Do they have a portfolio of past weddings they have planned for you to look at? Do they have references/reviews you can see? How will they keep you updated throughout the planning process? Is correspondence unlimited or is there a specified amount of phone calls, emails and meetings? If you already have a venue in mind (or have already booked) - Are they familiar with the venue and have they worked there previously? If not, do they have experience working at similar venues? Do they offer any styling assistance or will this need to be booked separately? How do you handle any last minute emergencies on the day? How many team members will be there on the day? The cost of hiring a wedding planner will largely depend on the level of support you need and their experience of planning weddings. Some planners charge a fixed fee, others charge a percentage of your budget. Typically, full wedding planning is charged at between 10-15% percentage of the wedding budget with on the day co-ordination being available from a few hundred pounds. A good wedding planner will offer a complimentary consultation to enable you to find out about the range of services they offer and to find out more about the level of help best suited to your plans. When you are ready to hire your chosen wedding planner, make sure they provide you with a contract to be signed by you and by them.